Fits Doulton 10 x 2 -inch Ultracarb W9123006 and Fluoride W9125030 reduction filters. 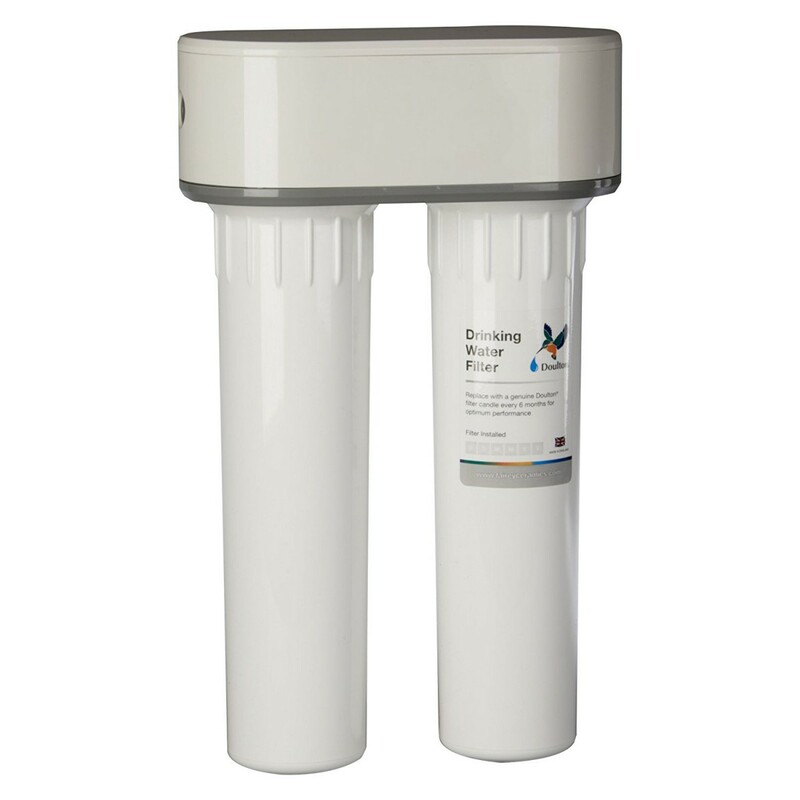 The easy to install Doulton-W9380040 Undersink Filter System (Two Stage) is the perfect undersink application for the best quality water. The 3/8 inch inlet/outlet John Guest fittings and 3/8 inch plastic pipe, make it a breeze to install. Simply connect to your previously installed sink connections. Please note If you do not have proper connections you will need to order the Doulton-W2391085 installation kit separate. 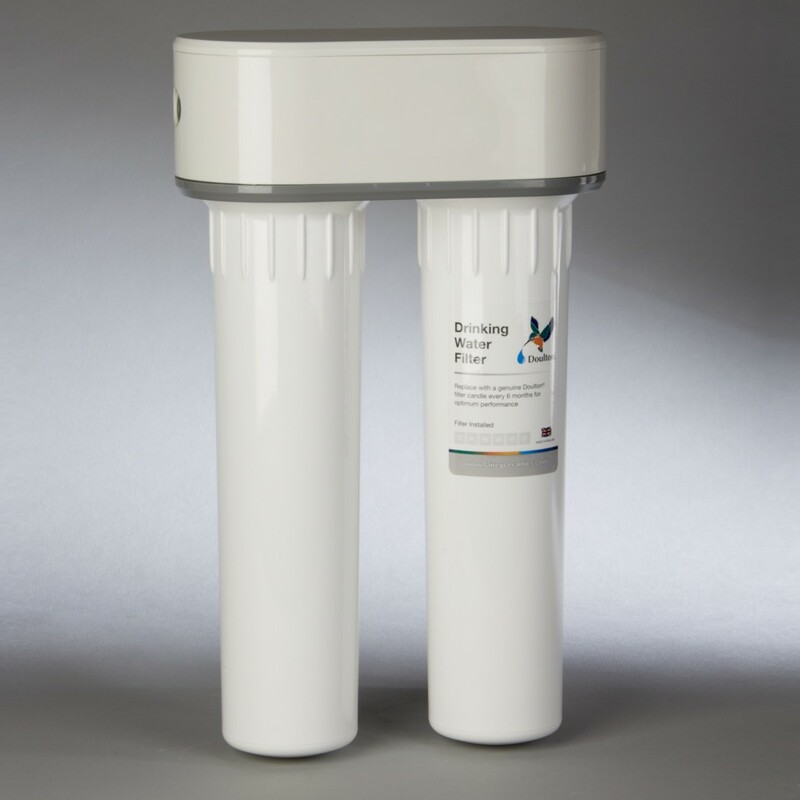 This system does come with everything to get you started including the Doulton Ultracarb W9123006 and the Fluoride W9125030 filters. Place the Fluoride filter in the first slot and the Ultracarb in the second. 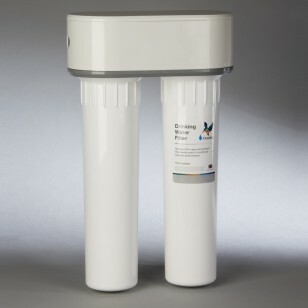 These 10-inch filters combined reduce fluoride, bad taste, odor, chlorine, parasites, and bacteria to name a few. Order yours today!